The U.S. Grand Lodge Thelema NOW! podcast features interviews with artists, writers, magicians, and others whose unique perspectives contribute to the modern flowering of Thelemic culture. New episodes are published roughly once a month. 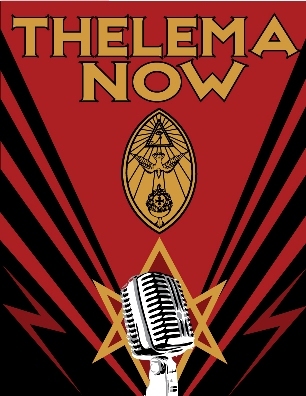 You can subscribe to the podcast to get new episodes as they are published, or visit the Thelema NOW! site for a full catalog of past episodes. Manon Hedenborg-White is a contributor to the book ‘A Rose Veiled in Black’ – an anthology on the Lady Babalon. The Lady Babalon is one of the more enigmatic figures in the Cult of Thelema. She is a manifold deity in the sense that She is a divine harlot, an initiatrix, a creator and a destroyer. In representative form, the letters of Her name encompass an heptogrammic star; yet She lies beyond mere representation, and Her star signifies only the powers of Her train and not the station of Her immanence. Manon Hedenborg-White discusses the book, along with her upcoming Ph.D. thesis! Check it out! Keith Readdy, author of One Truth and One Spirit: Aleister Crowley’s Spiritual Legacy speaks with Thelema Now stunt host Richard Kaczynski. Keith and Richard talk about what it took to put the book together, how it got published, and fun Thelemic facts to know and tell. Amaze your friends! Dionysius Rogers has just released “Thelema For the People.” he discusses this along with other projects with host Harper Feist. Enjoy! Thelema Now’s Harper Feist talks to the lovable Lon Mile DuQuette about his latest work, Son of Chicken Qabalah: Rabbi Lamed Ben Clifford’s (Mostly Painless) Practical Qabalah Course. Find out where the term “Chicken Qabalah” came from, why Qabalah isn’t boring, and what Lon is up to now! Thelema Now host Harper Feist talks to J. Daniel Gunther about his latest work, The Visions of the Pylons: A Magical Record of Exploration in the Starry Abode. You can keep up with J. Daniel at his website, jdanielgunther.com.